The ASA’s Spivack Program in Applied Social Research and Social Policy announces the recipients of the 2010 Community Action Research Initiative (CARI) awards. This small grants program encourages and supports sociologists in bringing social science knowledge, methods, and expertise to address community-identified issues and concerns. In their proposals, each applicant proposed a project of pro bono work with a community organization or local public interest group, the group’s request for collaboration, and the intended outcomes. CARI provides up to $3,000 for each project to cover direct costs associated with the community action research. The principle investigators are listed below along with a description of their approved proposals. At Indiana University, Jack K. Martin, Kathleen Oberlin, and Oren Pizmony-Levy are collaborating with the organization Volunteers in Medicine of Monroe and Owen Counties to explore the social barriers that prevent residents of these counties from utilizing free health care services. Volunteers in Medicine (VIM) is a non-profit organization that was established in Bloomington, IN, in 2007. This community-run organization provides medical care for those without health insurance and health education to help people monitor and maintain their health. Despite its availability, only 3,000 people have taken advantage of the free medical care. Using surveys and open-ended interviews, this project aims to identify socio-demographic background information on current clients; determine social networks and support; collect health history and health needs; and do an evaluation of the services offered by VIM. The interviews will allow further investigation about stigma, subjective experiences, and other social barriers that may explain the clinic’s patterns of utilization. The PIs hope to increase VIM’s client base. Janice Rienerth, Appalachian State University, will work with the Nort Carolina branch of Guardian ad Litem/Court Appointed Special Advocate (GAL/CASA) program is an organization that recruits volunteers to represent abused, neglected, and dependent children in juvenile court. Since 1983, they have helped many children remain safe while the juvenile system addresses what solution would be in their best interest. Last year they had 4,767 trained volunteers working with 17,189 children who were in court because "a petition had been filed stating they were abused or neglected." Through this project, Rienerth will do a program evaluation focusing on issues of recruitment, training, and retention of volunteers. Having a consistent group of GAL volunteers is important since it provides "greater stability for the child, and a greater chance that the best interests of the child would be represented in court." The goals of this pilot study are to understand why people volunteer for and leave GAL/CASA, evaluate volunteers’ attitudes towards their training, and provide statistical support for potential changes in the training. The PI hopes that at the conclusion of this pilot study, a larger study and evaluation of GAL/CASA will emerge. Joshua Page, University of Minnesota, is collaborating with the Juvenile Justice Coalition of Minnesota (JJC) on the project titled "Juvenile Justice Transitions Project" (JJTP). This non-profit organization is dedicated to "systems change and advocacy and promoting state-level juvenile justice reform in Minnesota." The JJTP is a longitudinal study that follows young adults from four juvenile residential facilities into the community. The PIs will examine what pre-incarceration, incarceration, and post-incarceration experiences obstruct and/or facilitate young offenders’ successful reentry into society? The project hopes to help young ex-offenders lead crime-free, productive and meaningful lives once they return to their communities. The JJTP research impacts JJC’s Aftercare group, which has developed tasks that to help young adults make a successful transition into the community after living in residential facilities. The data collected thus far have been used to develop a manual on aftercare, and the qualitative data they will collect will provide a first-hand account of the reentry process. The findings from this project will provide information that will culminate in the development of more literature that will hopefully influence future policy initiatives. Kylan de Vries and Danielle Estes, Southern Illinois University-Carbondale, are working together with the Community Food Assessment (CFA) project in Jackson and Union counties in Illinois. They will collaborate with Food Works, a non-profit organization that advocates local, sustainable food systems development by partnering with small farm entrepreneurs, local markets, and consumers in southern Illinois. The PIs will answer the question "what do growers and consumers need in order to localize the food system in southern Illinois?" The PIs will assess and document local production by farm size; determine the market structure and barriers for locally produced products; determine the opportunities and barriers for consumer access of local products; and determine the educational needs of the stakeholder. At the conclusion of this project, Food Works and the CFA will put together a report with the findings and create resources that will be available on the Internet. This report will be used to advocate for government and private sector support in developing a local food system, educate suppliers and consumers about local foods, and provide resources to local farmers to expand their production and market their products to local markets. The deadline for the 2011 CARI Award is February 1, 2011. 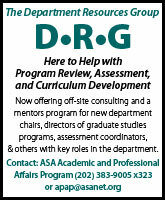 For more information, visit the ASA website and click on "Funding."